Associated Businesses for Homes & Housing - In Mumbai, Thane & Navi Mumbai (Promoted By ABH Group) - Books product & services related to Bathroom & Kitchen Design / Tiles etc. 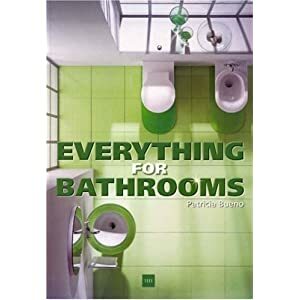 Books product & services related to Bathroom & Kitchen Design / Tiles etc. Useful Links for product selection & material purchase: You can obtain competitive quotations from the following sources. Showcasing an extensive collection of full-color photographs, 150 Best Bathroom Ideas provides an in-depth review of exemplary bathroom designs created by internationally renowned architects and designers who have achieved innovative and stunning solutions adapted to the specific needs and tastes of their clients. Included here are the most attractive, functional, and cost-effective bathroom designs from around the world, all approached in a practical and artful manner. These beautiful pages explore the most attractive and reliable materials, lighting, floor, wall, and window treatments, along with a wealth of ideas for the shower, toilet, sink, and bathtub. Learn to think like a design pro to get the kitchen you've always wanted without making the kinds of mistakes that cost money or leave you less than thrilled with the result. Kitchens: The Smart Approach explains everything you need to know to take the process from the earliest planning stages through understanding how to select and arrange a floor plan, shop for cabinets and appliances, choose fixtures and finishing materials, and pull together a one-of-a kind look. More than idea book, this is a step-by-step approach to the process of design. New ideas on how to design, build, and decorate a kitchen are always of essential value to architects, designers, and homeowners. This new addition to a successful series offers an extensive collection of both modern and traditional kitchen designs from all over the world, plans devised by distinguished international architects and designers who have worked to achieve practical, innovative, and stunning solutions adapted to the specific needs and particular tastes of their clients. 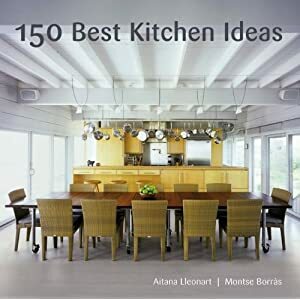 An exciting compilation, 150 Best Kitchen Ideas expresses the diversity of current trends in kitchen design focusing on decor—materials, lighting, colors, and windows—and specifics such as tables, wall units, flooring, appliances, and countertops. It is an inspirational source of ideas for those active in the field of design or interested in updating the focal point of their homes. Learn to think like a design pro to get the bathroom you've always wanted without making the types of mistakes that cost money or leave you less than thrilled with the result. Bathrooms: The Smart Approach explains everything you need to know to take the process from the earliest planning stages through understanding how to select and arrange a floor plan, how to shop for cabinets, vanities, tubs, sinks, and showerheads; choose tile, flooring, and finishing materials, and pull together a one-of-a kind look. More than idea book, this is a step-by-step approach to the process of design.